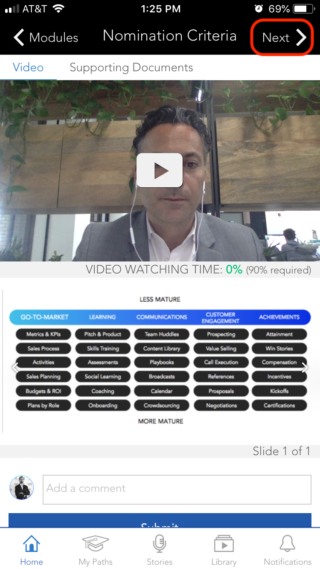 Welcome to SalesHood’s July release! We are pleased to introduce the Notifications Manager, mobile navigation enhancements, and much more. Please email us at support@saleshood.com with any questions. SalesHood users now have the ability to select the automated notifications they’d like to receive. 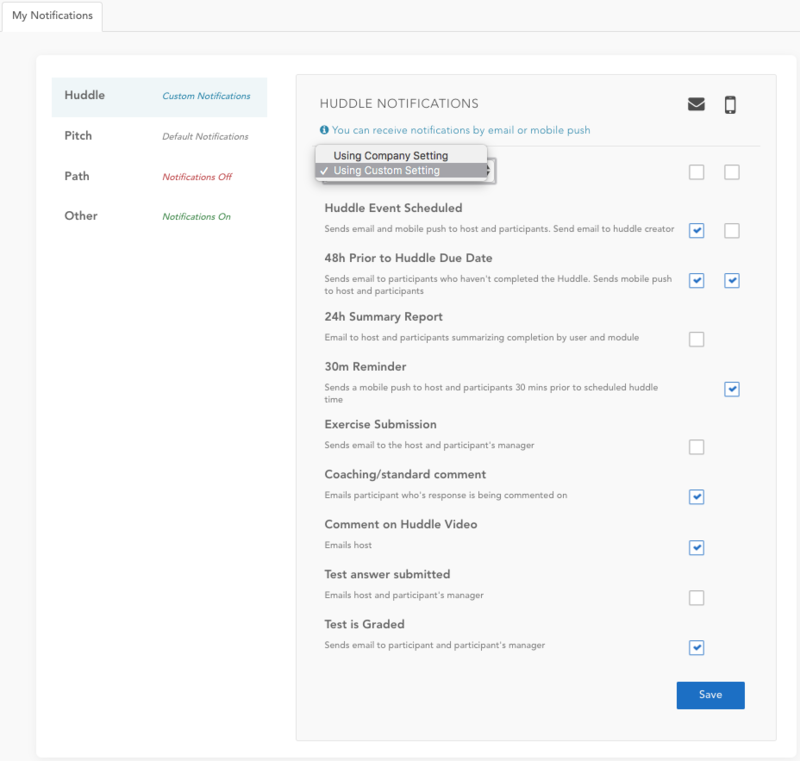 You can control email and mobile push notifications for Huddles, Pitches, Learning Paths, and other aspects of the platform via the Notifications Manager. Notifications can be set at both the Company and Individual level. Every user has the option to use their company’s settings or to choose their own. 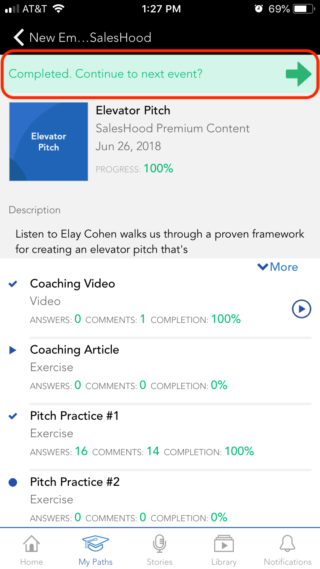 In this release we’ve added simple features that make it more intuitive when navigating through Huddles, Pitches, and Learning Paths in the SalesHood mobile apps. These improvements will continue as we focus on the performance of our apps. Ability to edit questions in Test modules after a Huddle is published. 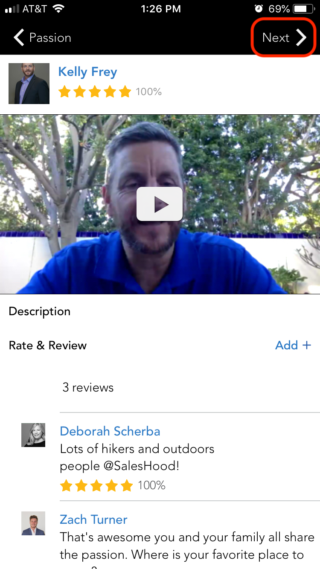 Ability to edit the title of Stories and Deal Wins after they’ve been uploaded. Improvements to .ICS files sent from SalesHood to make calendar invites more straightforward and useful. 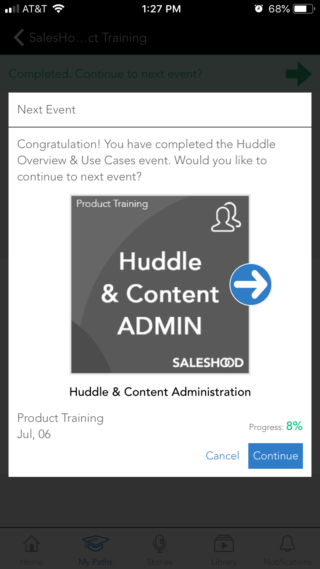 Integration of file uploads as responses in Huddles with the SalesHood CMS. Showing standalone events you’re hosting on your homepage. New users added to SalesHood will no longer be automatically added to previous events hosted by their managers. We have already started working on the next release, stay tuned for more updates soon. If you have any feedback or questions please email support@saleshood.com.